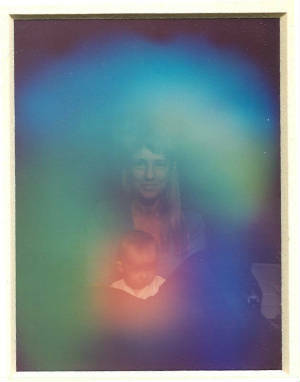 Aura Photos with brief interpretations. 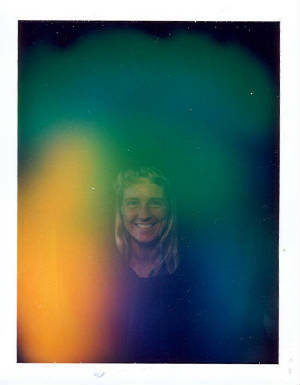 This photo shows a time of transition and healing as evidenced by the blue and green.The green also indicates the person in the photo is in a position to be nurturing and healing to others. Other people see this person as uplifting and inspiring. The large amount of blue in this person's photo indicates she is very open and receptive to new ideas. Blue is also showing spiritual aspirations. The purple shows this is a good time for her to work on heightening her intuition. Grandmother and daughter's aura shows the energetic influences they have on each other.The peach around the granddaughter is loving wisdom while the green encircling them both shows nurturing. 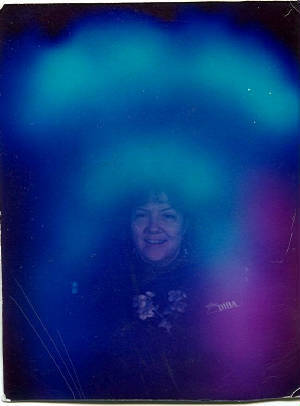 The blue influencing the grandmother to opening to heightened spiritual consciousness.